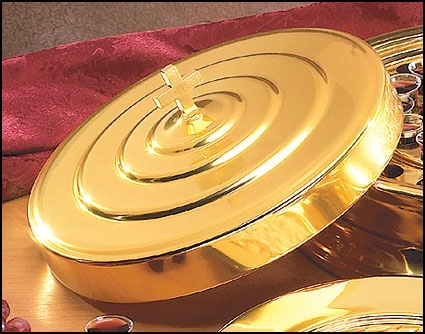 This Brasstone communion tray cover from Artistic® is made of lightweight aluminum and features a Latin cross finial. For use with matching Brasstone communion tray (#61303). Also available in Silvertone (#61314).